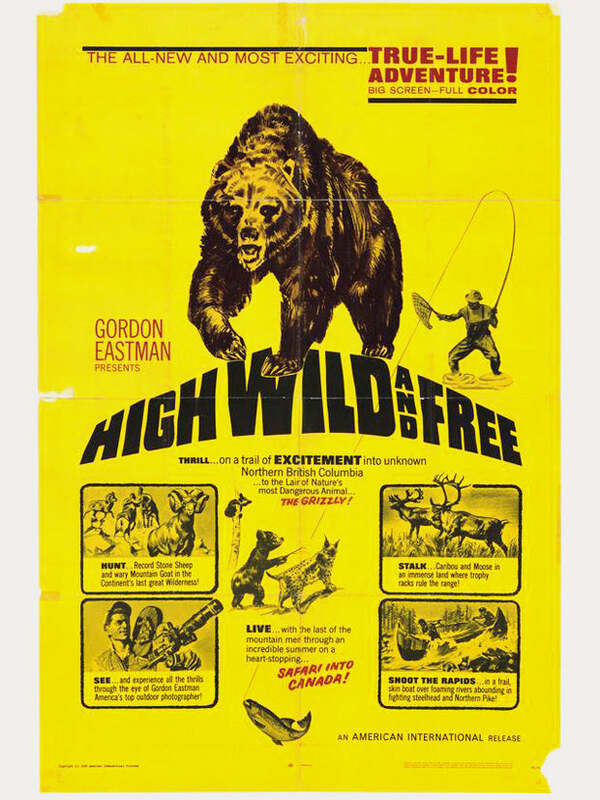 In the late sixties and early to mid seventies, Gordon Eastman, an outdoor photographer, made a couple of films titled High, Wild & Free and The Savage Wild. Eastman starred in, filmed, photographed, directed, produced and wrote the score for both films. They were first shown exclusively in the theater, but were eventually leaked to TV (in the US) in the late seventies as “nature programming”. The Savage Wild is a tale about Eastman raising a litter of wild wolf pups from infancy, followed at every turn by the wolf hunters, Redbeard and his little chronie. High, Wild & Free was referred by somebody on Netflix as being “to hunting what Endless Summer is to surfing”. Unfortunately Netflix is a US only service, and we couldn’t find either film elsewhere. Happy hunting kids – if anyone finds ‘owt let us know, will youse?